Religion is the last great mystery of Shakespeare studies. For most of the last century he was regarded as a quintessentially secular author, and attributing religious belief to him was a kind of blasphemy. In the past few years a counter-argument has been made, associating Shakespeare with the recusant Catholicism of Elizabethan England. Such issues have run aground in the frustrating remains of his personal biography. This lecture asks whether we could take a different approach to the legacy of the Reformation in Shakespeare. Rather than seeking the miasma of individual faith as a key to dramatic meaning, it investigates instead the burden of religious change and controversy on fundamental questions of identity and the human body. Looking at a variety of different plays, it shows how the transformations in the rituals of everyday life are constantly present in the dynamic forces of Shakespeare’s theatre in performance. Brian Cummings is Professor of English at the University of Sussex and was founding Director of the Centre for Early Modern Studies, 2004-8. He was previously Fellow of Trinity College, Cambridge, and has held visiting fellowships in California and in Munich. 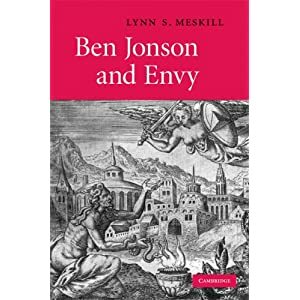 His books include The Literary Culture of the Reformation: Grammar and Grace (OUP, 2002), and The Book of Common Prayer: the Texts of 1549, 1559, and 1662 (OUP, 2011). Currently, he holds a Leverhulme Trust Major Research Fellowship for 2009-12, researching his next book, The Confessions of Shakespeare. In 2012 he will give the Clarendon Lectures at Oxford University on ‘Bibliophobia’. 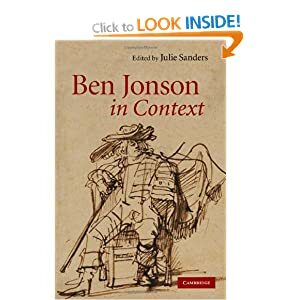 There will also be a panel discussion on April 30th devoted to Ben Jonson: A Re-assessment – now fully booked. 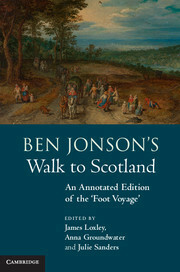 The latest issue of Notes & Queries (58.2) contains two book reviews from Johann Gregory (Cardiff University). Visit Notes & Queries online here.